The Mad Scientist is a genius science professor who is known for his inventions and his experiments. This 3D video slot machine by Betsoft Gaming invites players to take a step into the laboratory of the scientist and join him in his experiments so they can see them for themselves first hand. These experiments are fun, and they do not only bring knowledge as they bring a lot of payouts and rewards for the lucky players. The game takes place inside of the laboratory, which helps players enjoy an immersive and an ultra engaging gaming experience that will keep them at the edge of their seat at all times. Players will see the scientist himself at the left side with his tubes and experiment tools on a table in front of him which represent the control panel of the game. These are the buttons that players will click on so they can determine the number of lines they want to place bets on, the value of the coins and the bet per line. Toggling between the different options will allow players to decide how much they want to place on each spin. Of course, whenever players place a higher bet, the better payouts that they will claim. 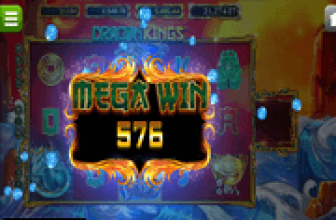 Players can view all the different payouts that they can claim at the paytable of the game. This paytable can be opened if they click on the view pays button. They will see all of the different symbols and their respective pays. The biggest payout that they can earn through the line payouts of the game is equal 1000 coins which is given to players who manage to get 5 electricity balls symbols on the same payline. The Blackboard symbol is wild, which means that whenever this icon lands anywhere on the reels, players will have a better chance at getting paid as this symbol will substitute for any of the other non bonus icons on the lines and reels of the game in order to help players form a winning combo and get paid. The green test tubes with gold powder in them represent the bonus icon. This bonus icon can trigger the bonus round of the game which is entitled The Second Screen Bonus round. Players will need to get at least three of these symbols anywhere on the screen in order to be able to trigger this bonus. There is also the Bio Pick Me bonus that gives players the ability to pick symbols in order to earn instant cash prizes up to 175 credits. 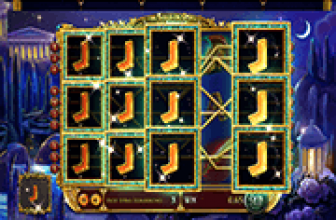 The Switch icon is a scatter icon that gives players scattered rewards that are multiplied by the original wager that they have placed when the scatter switches landed on the reels. 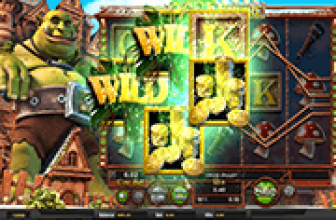 The game also has the Wild O’Cution feature that turns symbols on a certain row into wild ones to help players get paid.